Pure Water Products’ residential-sized backwashing filters are now available with a bottom drain feature that allows easy draining of the filter without removing the control valve. 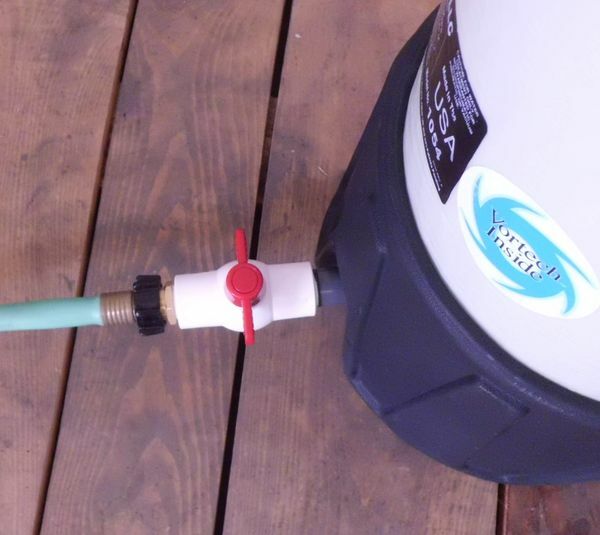 The tank comes with a convenient garden hose fitting so that drain water can be directed outdoors or to a drain. This feature is especially valuable for those who need to drain the water from filters that are not used in winter. With this filter the tank can be drained completely and quickly without the need even to disconnect it from plumbing. The tank setup includes a bottom grid installed inside the tank to hold the media so it will not leave the tank as the tank is drained, a valve to release water from the tank, a garden hose connection so that the drained water can be directed to a drain or outdoors, and a vacuum release port to allow water to leave the tank. The vacuum port can also be used to replenish media in neutralizing filters without removing the filter’s control valve. The tank can be supplied with any standard filter style, such as carbon, catalytic carbon, birm, calcite, Filter Ag, ChemSorb (Micro Z), or multi-media. It is available in the most popular size, 10″ X 54″, only. More Information: Pure Water Products, 940 382 3814.